No one likes a flat tire. They can happen when you least expect them. They are scary and can leave you stranded and vunerable. Sometimes they happen at night and in the middle of no where and worse yet it could be a cold dark rainy night. If you don't have a cell phone and can't call a tow truck or AAA then you could really be in trouble. Do you have blankets in the trunk to keep you warm? 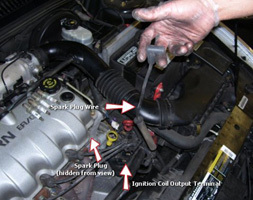 Is your car battery charged up enough to listen to late night radio? Did you bring your dog for protection? Do you have a flashlight, road flares, snack food and drinking water? How about a "spare tire in a can" to try and reinflate the flat? Can you hear the coyotes howling in the distance? Is that the siloutte of Bigfoot on that hillside above the road? 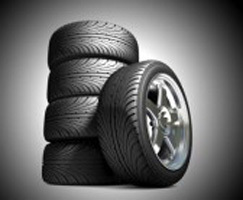 Is it time you bought some new tires or got your vehicle safely served by a honest and reputable tire shop? 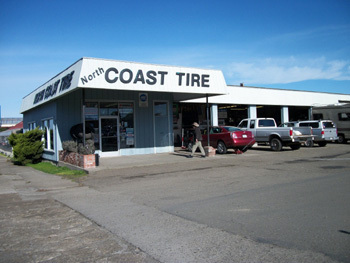 The folks at North Coast Tire in Fort Bragg, California have heard a lot of stories from their customers. They know an ounce of prevention is worth a ton of cures. 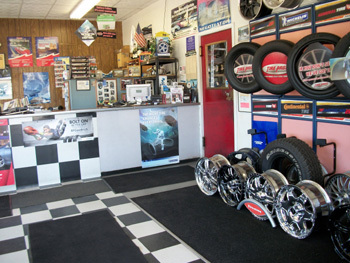 Since 2004 owner Rick McFarlin and his experienced staff have been pleasing coast residents and visitors with exceptional service, quality tires, auto parts and fair prices. 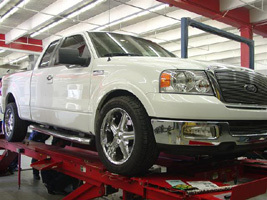 They guarantee all their work and the crew at North Coast Tire are knowledgeable, experienced and thoughtful. This is a good place to buy your tires, get your wheels balanced, front end aligned, brakes repaired or car, truck, RV, or tractor trailer tuned up. 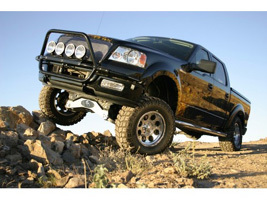 They stock a full line of Goodyear and Firestone tires - both new and quality used tires. While the skilled mechanics at North Coast Tire are working on your vehicle you can relax in their comfortable waiting room, listen in to the people coming and going, read a magazine, enjoy a cup of coffee or tea and look at the inventory of tires and products they carry. They even have toys for the kids and a TV to watch a cartoon or the news. And, of course friendly service dogs are welcome. The waiting room is heated so you are comfortable on cold winter days. Just think for a minute how important your tires and brakes are. They get you safely home and back. Transport you to work, school or the hospital. Take you star watching late at night or to the edge of America to watch a fabulous Pacific Coast sunset. Put the North Coast Tire team to work for you and drive in peace and safety through the next chapter of you and your loved ones life!